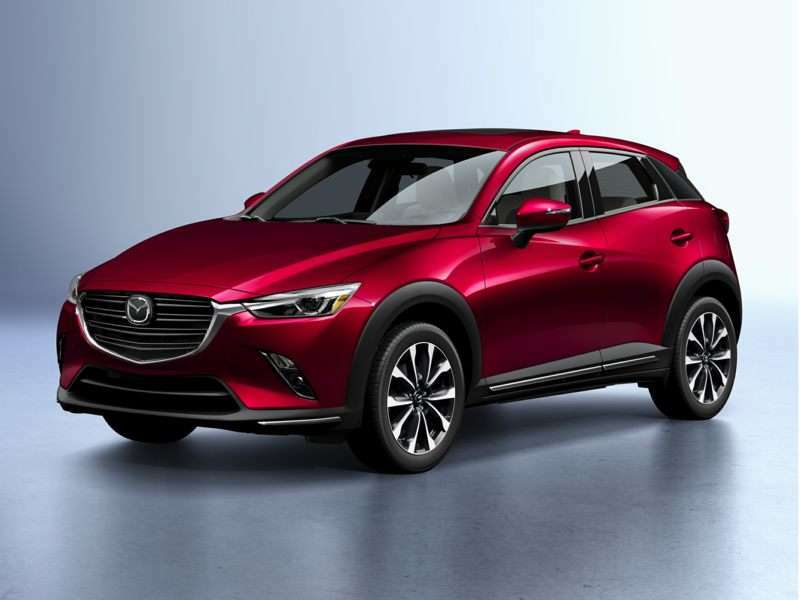 The 2019 Mazda CX-3 is a 4-door, 5-seat Sport Utility, available in 6 trims, ranging from the Sport FWD to the Grand Touring AWD. Upon introduction, the $20,390 Sport FWD is equipped with a standard 2.0L, 4-cylinder, engine that achieves 29-mpg in the city and 34-mpg on the highway. an Automatic transmission is standard. The $27,145 Grand Touring AWD is equipped with a standard 2.0L, 4-cylinder, engine that achieves 27-mpg in the city and 32-mpg on the highway. an Automatic transmission is standard. Fans of modern design will find plenty to like in our new Mazda pictures, since the automaker takes as much care with the appearance of its vehicles as it does ensuring they offer a hallmark “zoom-zoom” ownership experience. The latest style for the brand comes from what it calls its “Kodo” design language. The rough translation of that term is “soul of motion,” but it sets a striking template for some of the smoothest-looking vehicles on the market today. But beyond their rolling curves and eye-catching details, the selections in our latest new Mazda pictures don’t just look smooth, they actually are smooth, at least in terms of how they cut through the air. Following one of the essential tenets of modern industrial design, the “form follows function” approach at Mazda also leads to highly aerodynamic shapes, which, in turn, help deliver improved fuel-economy ratings. On the other hand, when it comes to going green, there’s also much going on under the skin in the latest Mazda lineup. Note, for example, the “SKYACTIV” badging in Autobytel’s new Mazda pictures. It indicates vehicles with a cutting-edge suite of powertrain and chassis technologies that has lifted Mazda fuel-economy to incredible new heights and includes the industry’s first capacitor-based energy-regeneration system. Called “i-ELOOP”—for “intelligent energy loop”—the system can store energy recaptured from braking and use it to take some of the load off of a vehicle’s electrical system. As a result, not only is the compact Mazda Mazda3 capable of 40 mpg (and higher), but so is its mid-size Mazda Mazda6.